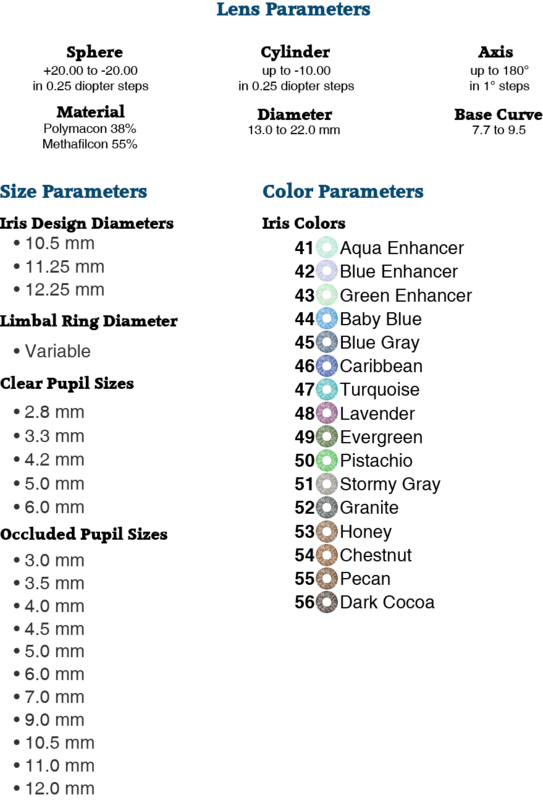 BioColors contact lenses are available in any prescription, ±30.00 sphere powers, as well as up to -10.00 cylinder for astigmatism. See below for more fitting information. Call today to order a diagnostic fitting set. BioColors is available in many colors and options. See all 16 colors below.